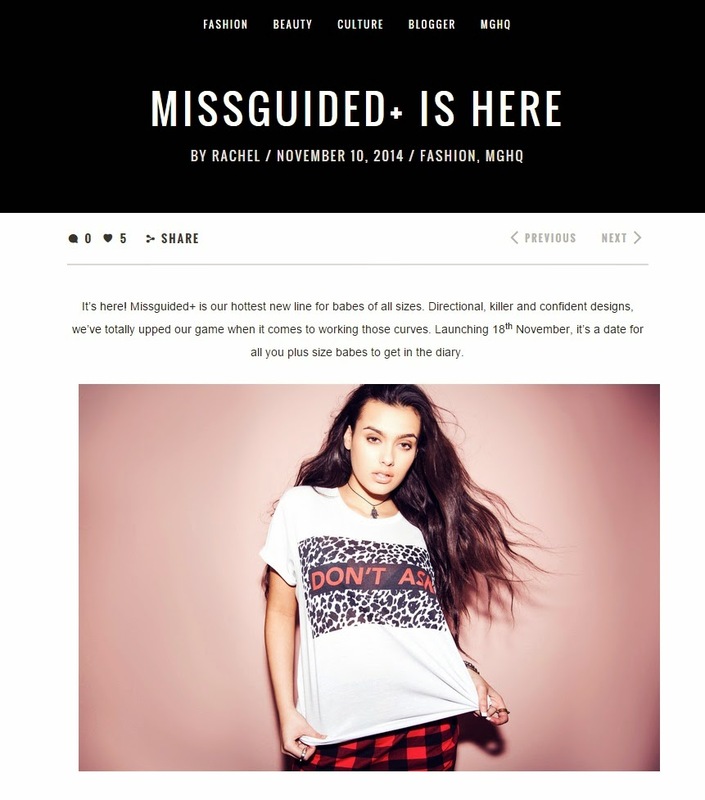 Is Plus Size Fashion MissGuided? 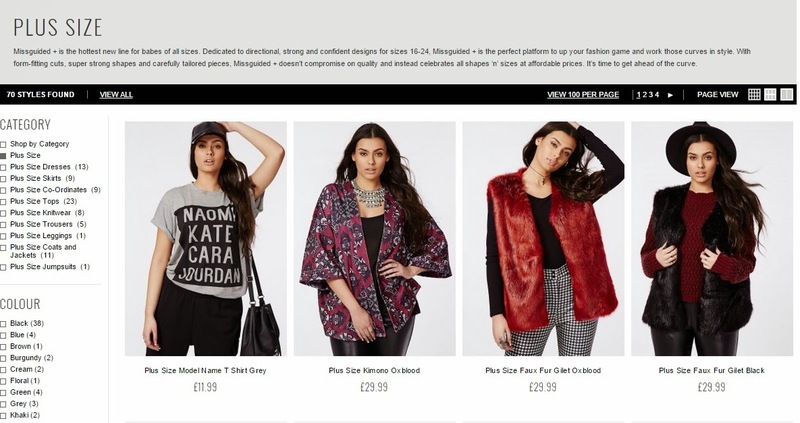 You have probably seen online today that online retailer MissGuided launched their first plus size range. 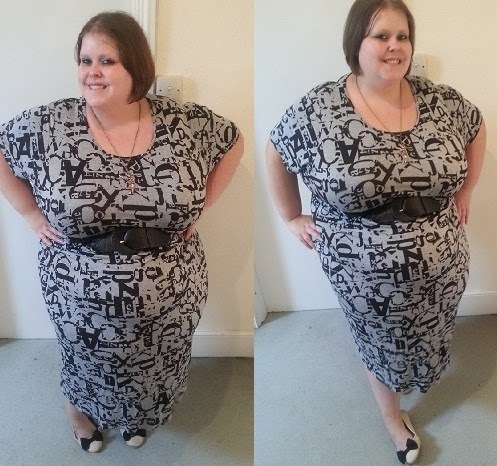 I have to admit that before last week I hadn't heard of the clothing website, mainly because their main range seems to stop at a size 14, with a handful of pieces in a size 16. Their Curvy+ range launched today and has been met with love. The range (which stocks sizes 16-24) seems to be a good extension and representation of their existing range, which is always good news! Now, you could say it is because I am bitter that I can't fit into their Oxblood Gilet, but I am disappointed that the range stops at a size 24. I guess seeing as they previously did up to a size 14/16 it is a massive step in the right direction but I want to see retailers taking leaps! 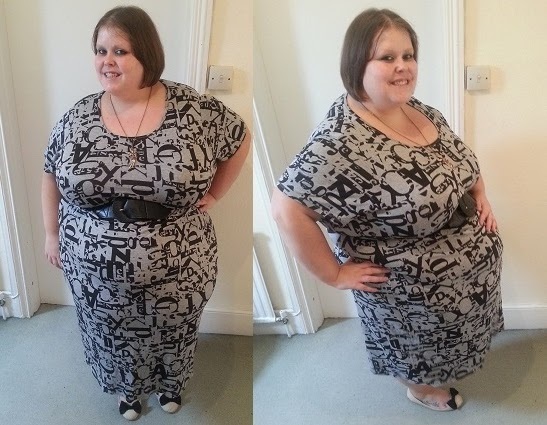 Now a days, buying a size 24 dress online is not a novelty. 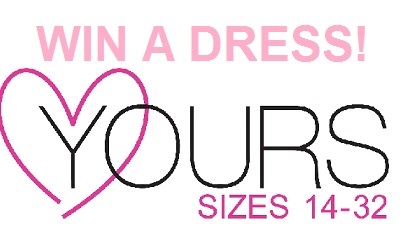 We have an abundance of retailers who now stock plus size collections up to a size 24/26. Yes, some of the MissGuided pieces are brilliantly fashionable but who decided that fashion stopped at a size 24? With retailers like MissGuided shouting from the roof top for days before their collection that they're launching such an exciting product - I would love for it to be something more than we normally see. I honestly think people who believe plus size fashion should stop at a size 24 are misguided. 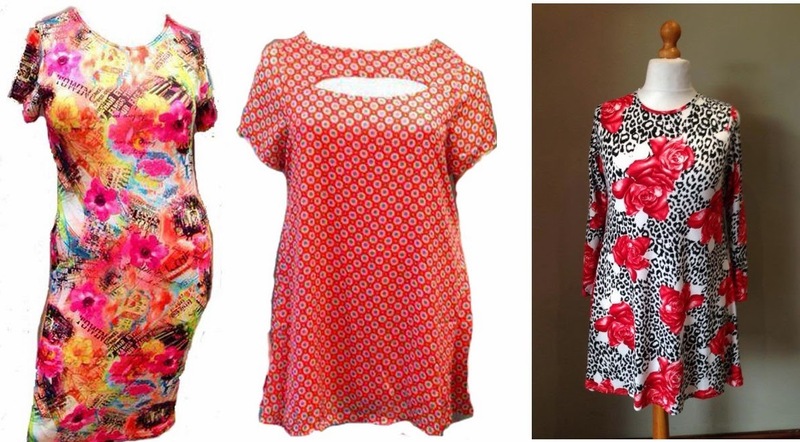 There are so many bigger women who are crying out for pieces like this, we just need a retailer to listen! I love the MissGuided plus size range and I can see why it has been so well received, but I would love to see more! Summer Wish List - My Shopping Ban Is Nearly Over! You might remember a month ago I announced that I was going to give up clothes shopping for Lent! Quite a few people decided to join me and though some have fallen by the wayside there is still a few of us going strong! Now that I am on the final stretch of the shopping challenge (10 days to go!) I find my self online-window shopping and lusting over the items that I am going to buy when I finally am allowed to spend. Of course with a list as long as my arm, I can't possibly buy them all but with so many vibrant patterns and colours out there it's going to be hard to decide what I want to get my hands on first! I know we often moan about the lack of choice when it comes to plus size fashion, but I really feel (in my as far from expert opinion as you can get) that the retailers are doing us proud this season! Here's a look at the retailers that have not been making my shopping challenge very easy! 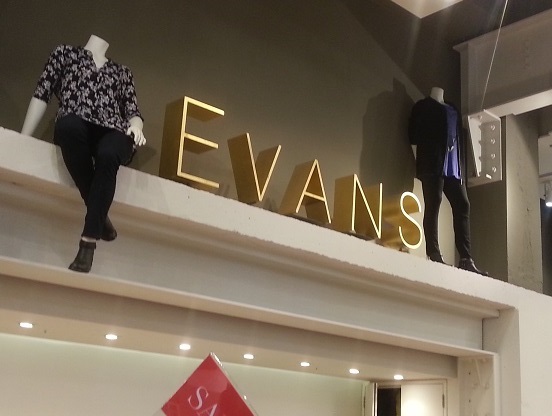 Sold through Evans Online and a handful of Evans stores, if you haven't come across Scarlett & Jo before you're about the experience a revelation! 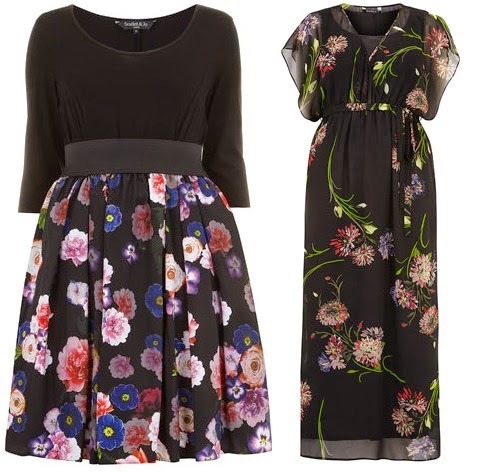 I have blogged about these lovely dresses before and you'll see lots of bloggers also rave about them. There is just so much right about these dresses - the fit, the colours, the shade, the style - everything! This season they have launched a range of prom dresses and my goodness, they're beautiful! Still quite a new player in the world of plus size fashion Topsy Curvy just seem to be getting it right time after time. Sadly I haven't been able to try any of their new stuff yet because of my spending ban, so I don't know about quality - but LOOK AT THOSE COLOURS!!! 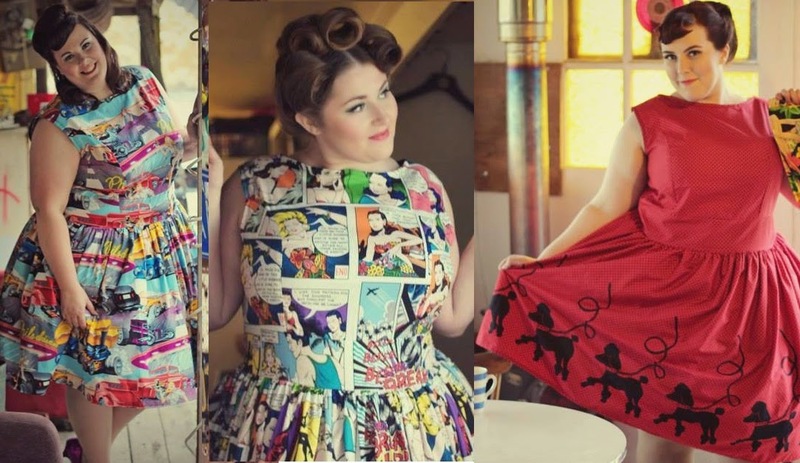 These girls seem to hit the nail on the head when it comes to giving plus size ladies a choice when it comes to clothing & I can't wait to see what else they have to offer! You can buy via their website although their Facebook seems to get items added quicker and that's where I spend my time lusting! All of these are items that I would love to buy & most probably will splash the cash on at some stage. I also wanted to add a little lust-list in the shape of Silly Old Sea Dog - a vintage style dress company that have recently started a plus size range. Their dresses are available up to a size 28 and they are BEAUTIFUL! The dresses are (sadly) a little out of my price range but if you're looking for a dress with a difference and are willing to invest I would definitely head over to their site! So.. .What are you planning to buy over the next few weeks, has anything pretty caught your eye? I Finally Got My Hands On The Typography Dress! As many of you know, since I first clapped eyes on the Pink Clove website, I have lusted over the typography dress. Although there are loads of amazing, pretty dresses on the site (some of which I also now own) this dress jumped out at me straight away as being something different. I love the pattern on the dress and the fact that it is midi length. I was looking for something a little different to add to my winter wardrobe and I found it! When I attended the Pink Clove dinner I got to see the dress in the flesh and feel how high quality the material was, so I knew I had to have it! Now... I am proud to say I am a very happy owner of this lovely dress! As I am quite short the dress is quite long on me - but that means that anyone can 'get away' with wearing this dress without leggings or tights. Of course not everyone is as short as me (5'2) so for most people it would be much shorter! It is as reasonably thick material which also makes it great for winter! 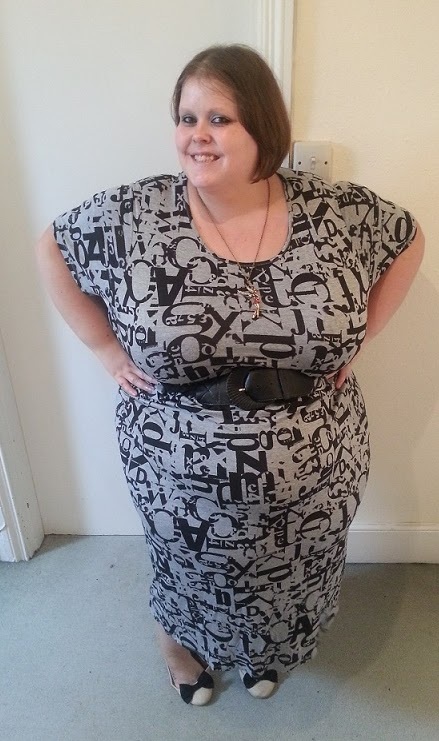 I found the sizing to be very generous, I think I could have easily have downsized on this and for it to still fit although it would be a bit tight - but as a body con dress fan this wouldn't be a problem for me! I know lots of people have been talking about Pink Clove... Have you bought anything? What did you think? Head Over Heels In Love... With Pink Clove! Last night I was lucky enough to be invited to a bloggers event for Pink Clove. Avid readers of my blog will know that I have already blogged about the site because it captured my attention as soon as it was launched! As a plus size retailer that actually does most (if not all?) 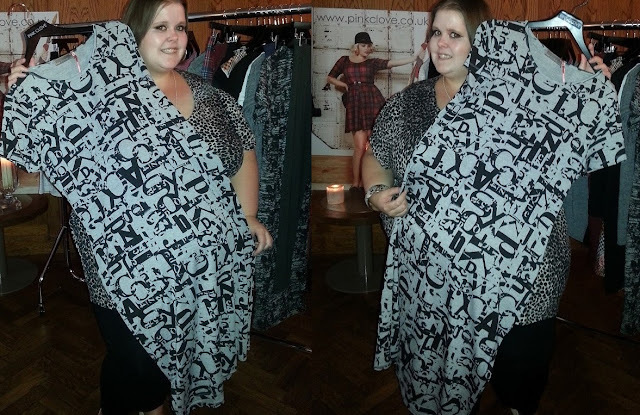 of its lines up to a size 30/32 it was a welcome addition to the world of plus size fatshion in my eyes. In my original write up I told you I fell in love with the typography dress - and now I have seen it, felt it and seen the cut of it, I want it even more. This is most definitely a dress I need in my life. The event was held in the prestigious Hush restaurant in Mayfair. Located in Lancashire Court it had a beautiful setting and the private dining room did not disappoint. When we arrived we were greeted by the Pink Clove PR team and a pink Bellini (YUM!) and invited to take a look at the clothes. 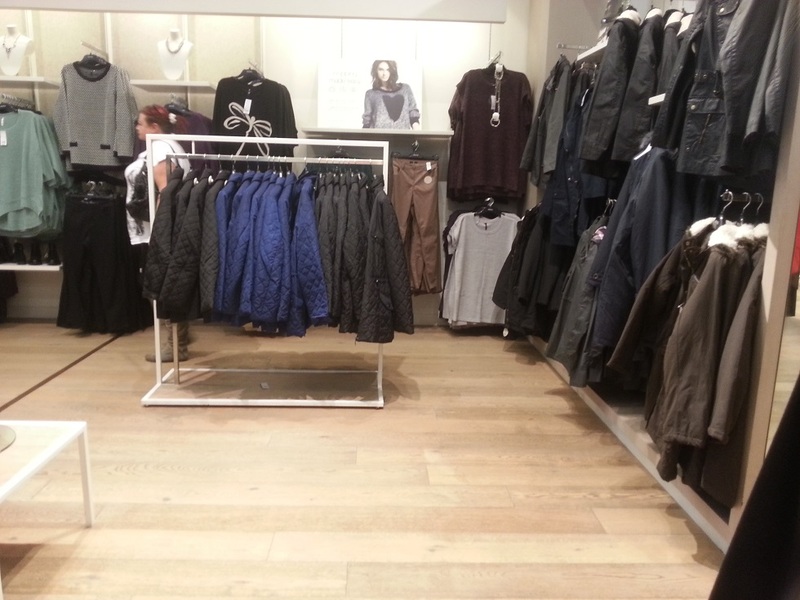 There were 3 racks of clothes, broken down into different sections to showcase the range of Pink Clove clothing. After that we had a sit down 3 course meal and a chance to chat with the rest of the bloggers. There were 10 of us there in total and it was really nice to put names to faces I have seen online and read the blogs of. Unsuprisingly for a Mayfair restuarant - the food was amazing! There was a really nice selection of food which meant that there was something to suit everyone. I opted for the pulled pork and yorkshire pudding starter, fishcake main and a treacle sponge for dessert - all delicious! The brand has something to cater for everyone - from pretty skirts to logo tshirts and from smart jackets to floral dresses - it has it all! The clothes on the rails were all a size 16 but were definitely generous fittings. The top sizes come in 26/28 and 30/32 but judging by what I have seen so far, they'll be a great fit! The clothes were high quality and stretched without ruining the look of the piece, which is always a bonus! What I liked best is that some of the most striking patterns in the collection were used in more than one piece. It can be annoying when you see a pattern in a skirt you like, but you know you would prefer it in a dress. It seems that Pink Clove have tried to fix this problem by having patterns repeated across items - what a great idea! When we left we were sent home with a lovely goody bag and a gorgeous cupcake - what lucky girls! Have you bought anything from the site yet? Or browsed it?